This galvanised bin cupboard is the perfect storage solution. With a sturdy and tough welded steel frame and construction to support galvanised shelves and high density polyethylene bins, this cupboard is built to outlast its contents. The galvanised bin cupboard is rated from temperatures ranging between -35 degrees to +80 degrees. When it comes the time to organise the tools in the garage or garden shed, this galvanised bin cupboard is the perfect solution. 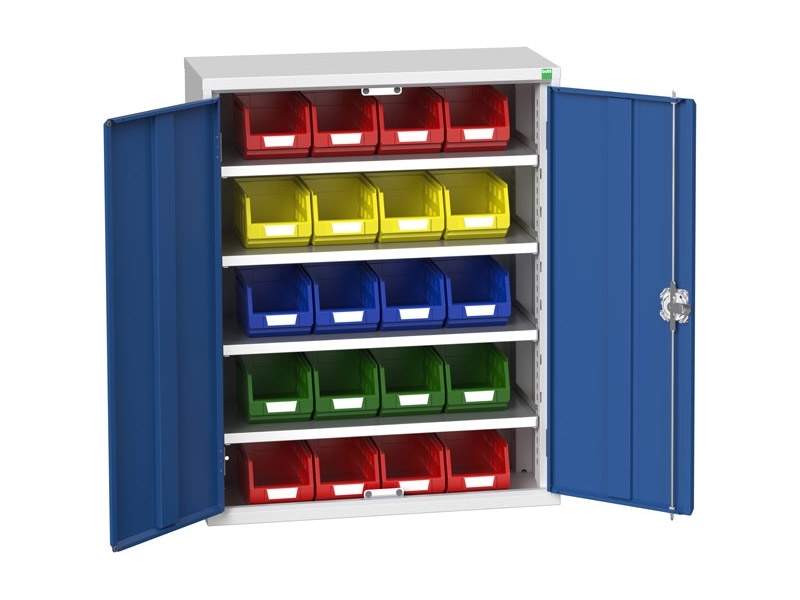 Colour code your items or just sort them as needed and you can rest assured they’ll be safe and secure in this well-built and sturdy shelving and bin unit. Garages have a tendency to get messy and without a proper organizational system or storage solution things can get out of hand fairly quickly. Similar to the garage, garden sheds can easily be overcome by tools, seed, fertilizer, and other garden necessities. One of the best solutions for the garage and shed is the galvanised bin cupboard. When it comes time to find an easy, straight-forward, and reliable storage solution this cupboard answers the call. The galvanised bin cupboard comes with a 1 year parts and labour warranty. 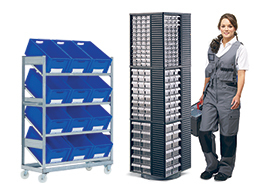 Additionally, The Workplace Depot provides free delivery with a delivery time of 15 days or less with this product. The Workplace Depot also has a price match guarantee, which means they’ll match any local competitor’s price for the same product.